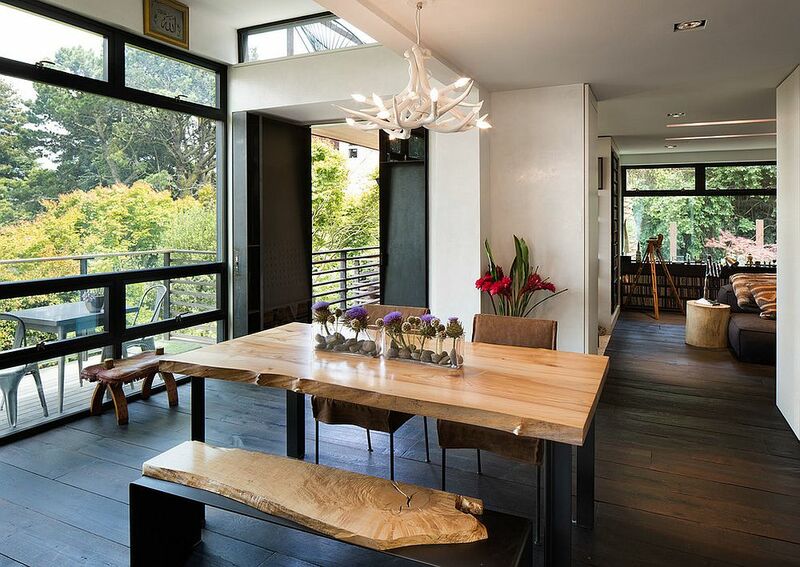 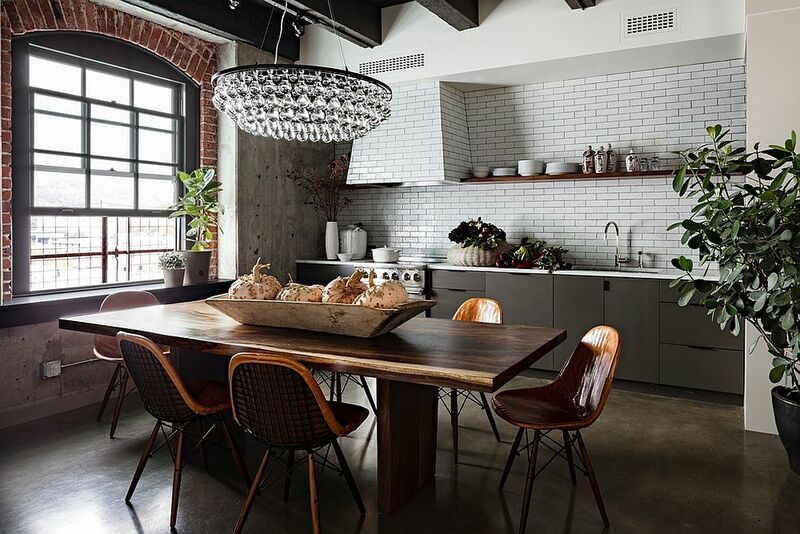 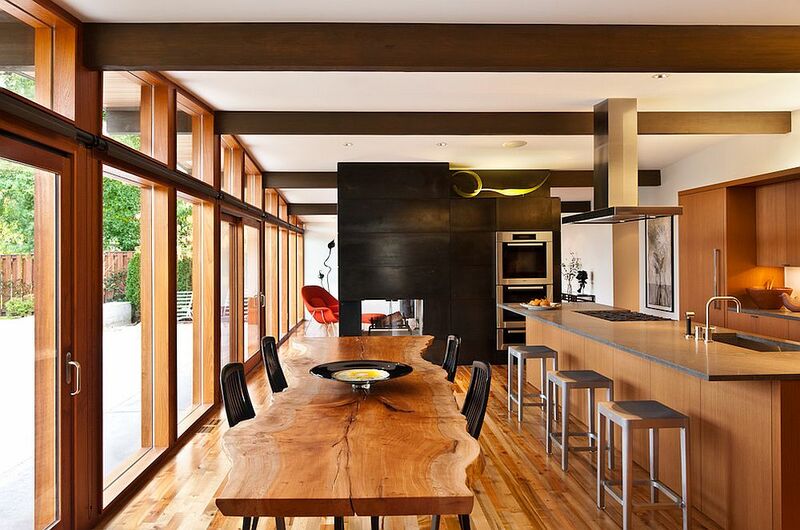 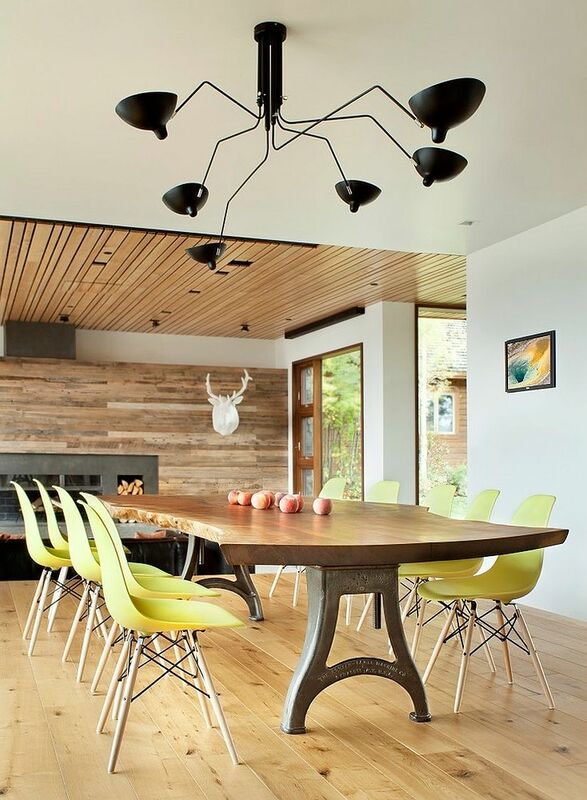 Raw Natural Goodness: 50 Live-Edge Dining Tables That Wow! 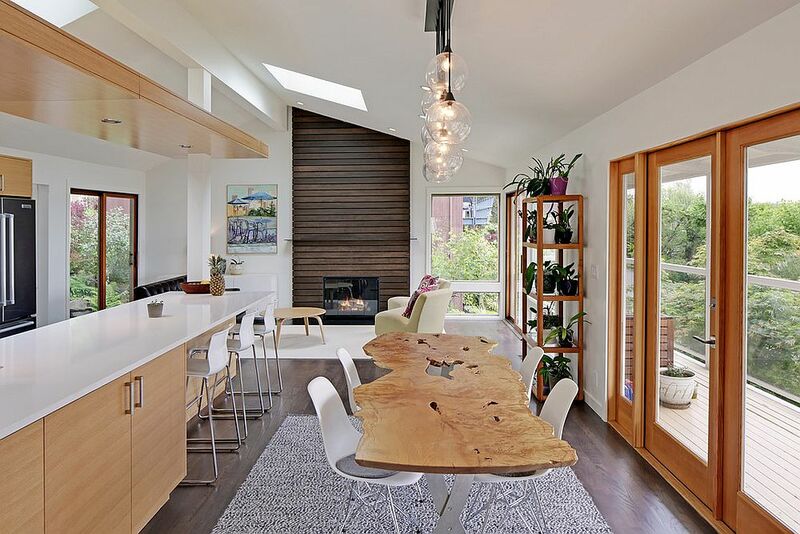 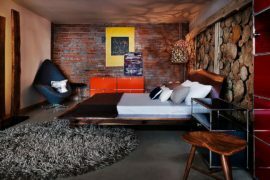 The design and décor revolution in the last few years has been all about ‘green’. 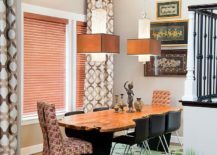 This is not just about cool DIY projects that help in upcycling and recycling, but also pertains to furniture that ushers in a more organic, natural and sustainable vibe. 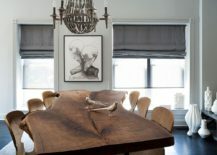 If there is one particular piece that epitomizes this trend, it is undoubtedly the live-edge table. 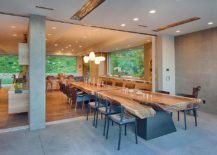 Natural-edge tables are great centerpieces that immediately draw your attention and give the modern interior a more soothing and natural aura. 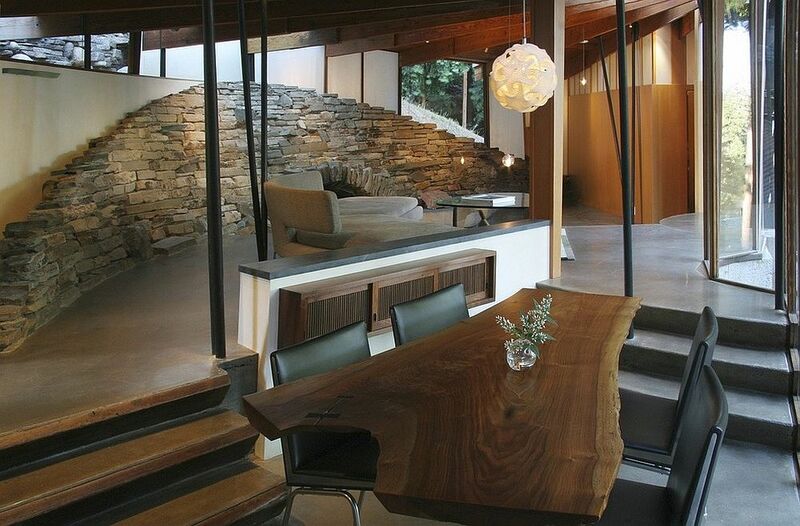 And heading the pack in this section is the unique and exclusive live-edge dining table. 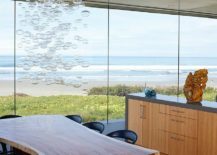 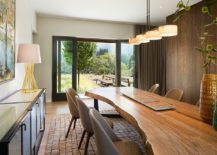 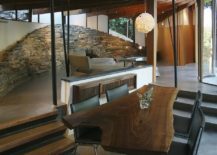 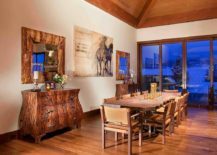 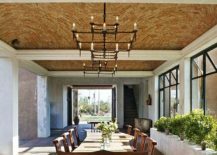 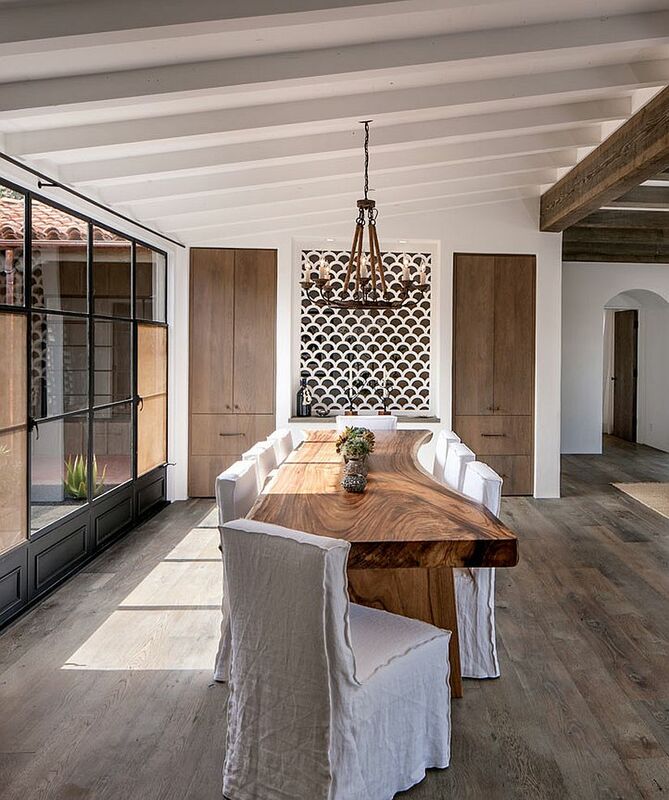 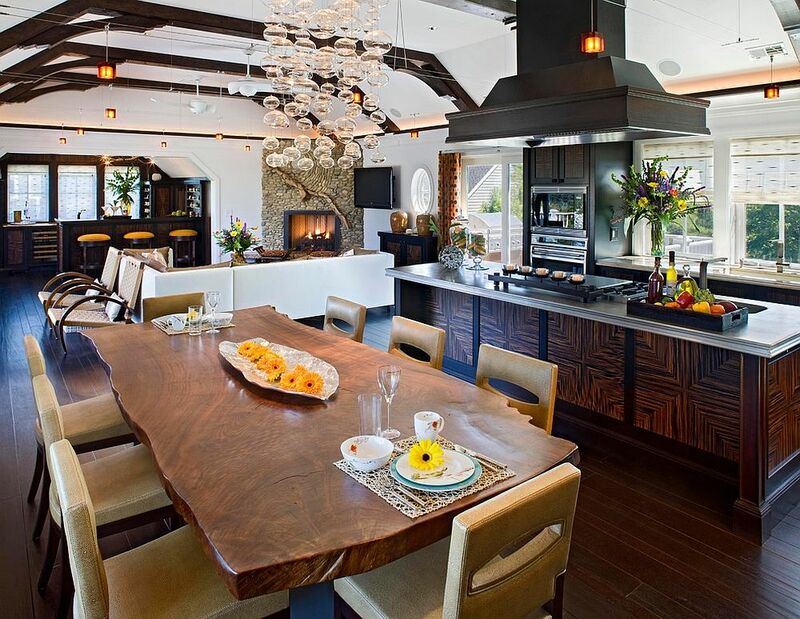 Live-edge furniture and surfaces work in a diverse range of situations and in different rooms across the home, but we firmly stick to the dining space today. 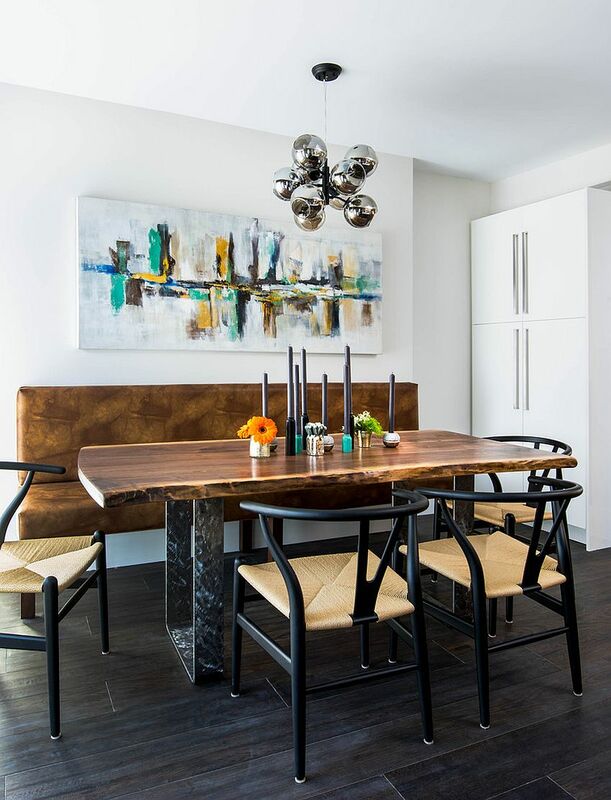 Natural-edge dining tables in the modern dining room do not seem out of place at all, and all you need to do is find the right balance to create a fusion of textures and finishes. 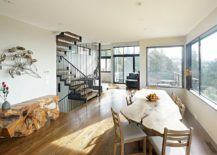 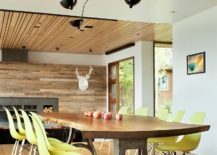 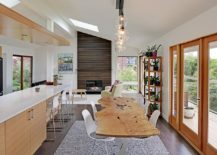 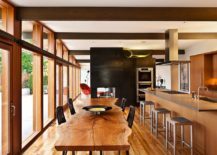 With open plan living becoming the norm, a live-edge dining table can anchor the dining space, give it a distinct identity the separates it from the rest of the interior without actually having to resort to rugs, a false ceiling or half-walls. 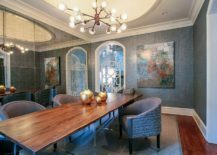 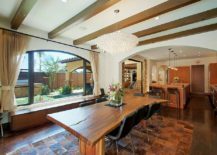 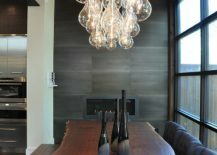 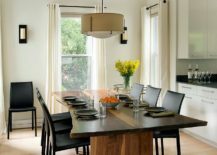 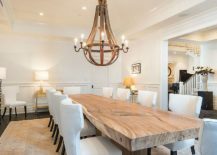 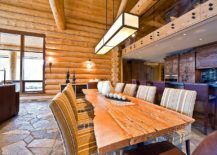 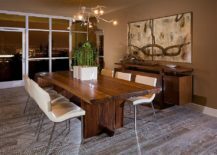 Do not fret about the style of your dining room too much when you are shopping for or custom ordering a live-edge table. 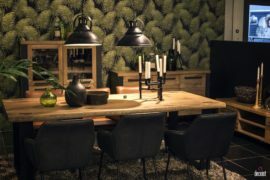 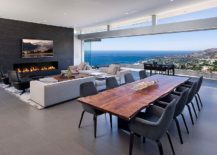 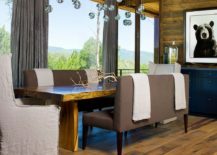 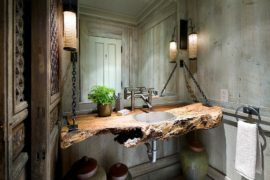 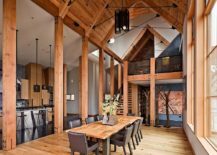 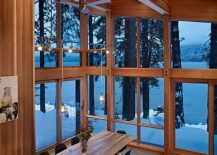 While simple things like choosing a table with a light, even grain of wood for modern interiors while opting for tables crafted from darker tones of wood for rustic and Mediterranean rooms helps, it is not an absolute must. 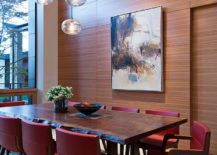 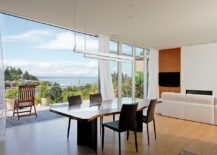 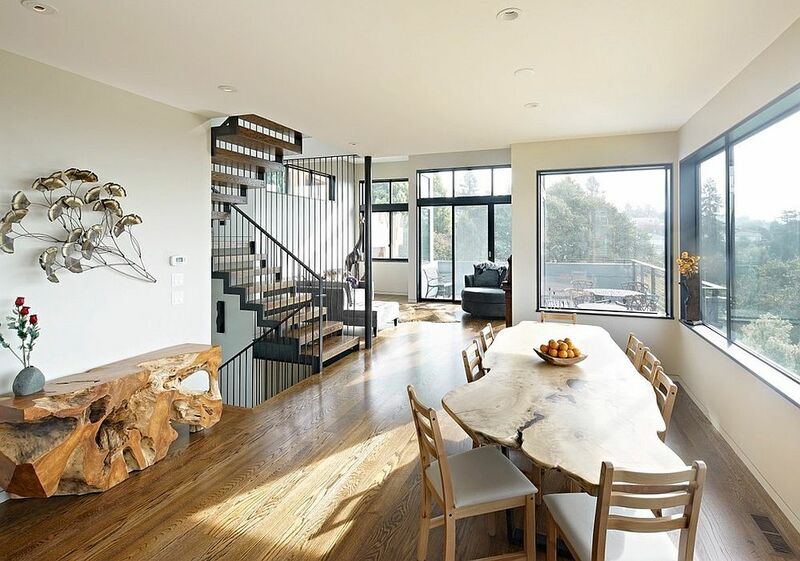 Try to find balance in the rest of the room by opting for chairs, a credenza or even the rug and pendant fixture that show the live-edge table in the best light. 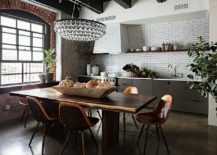 You will be surprised at how well these tables blend in with styles ranging from industrial, shabby chic and Bohemian to minimal and transitional! 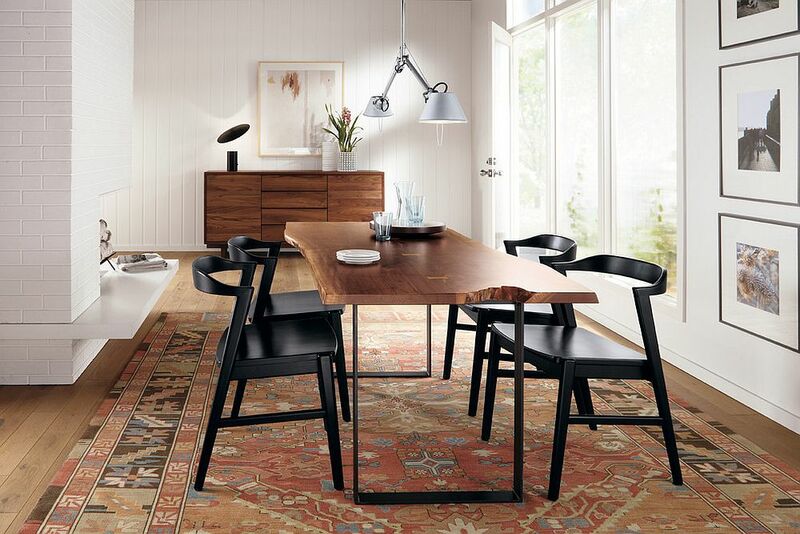 Putting together a dining room with a live-edge table is much more about the rest of the room than the table itself. 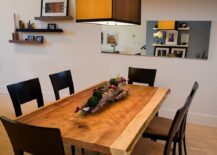 A top quality natural-edge table with a beautiful finish will most likely be an expensive purchase (even if you buy it from your local craftsman), but it is well worth the money spent. 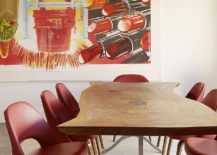 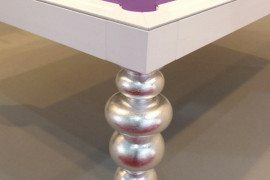 There are always cheaper alternatives around, but we suggest you buy the best table you can afford, as this will help you reduce costs in the long run. 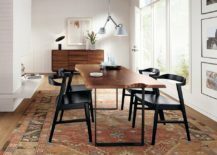 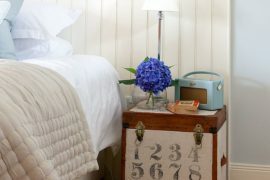 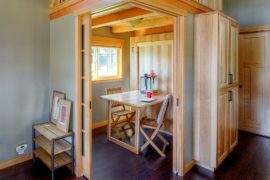 Adding a small natural-edge bench crafted from the same wood as the table, a beautiful credenza or buffet in a different wooden finish, or even just a small side table in the corner can give the room a more curated look. 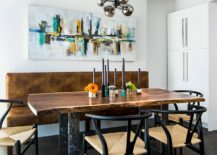 If you love a live-edge dining table, then the hardest choice past deciding the style of the dining space would definitely be the chairs that go with your new woodsy masterpiece. 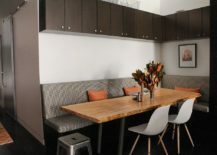 Once again, the wide variety of chairs, benches, loveseats and banquette benches coupled with vibrant, natural-edge tables on display today should convince you of the versatility of this dashing table. 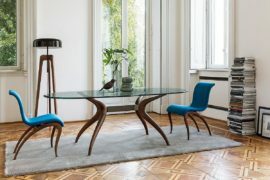 Lovers of midcentury design can opt for chairs like the classic Eames molded plastic chair, the Wishbone chair or even the extravagant Panton Cone chair! 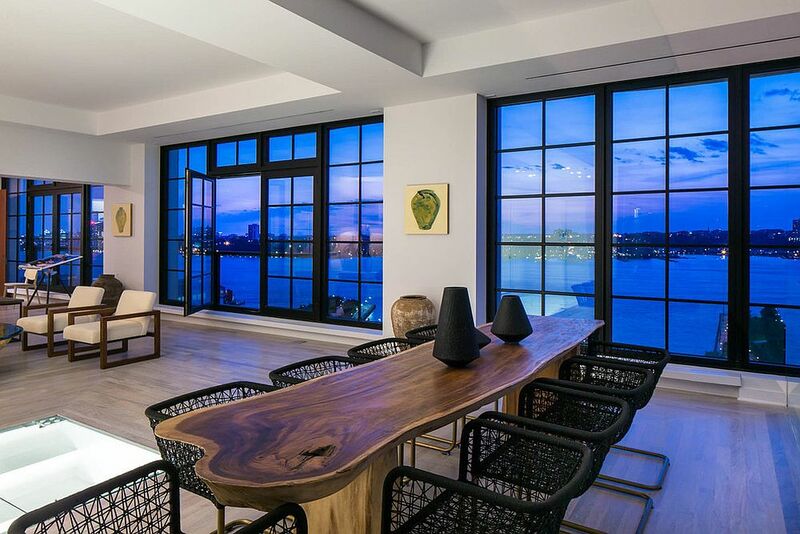 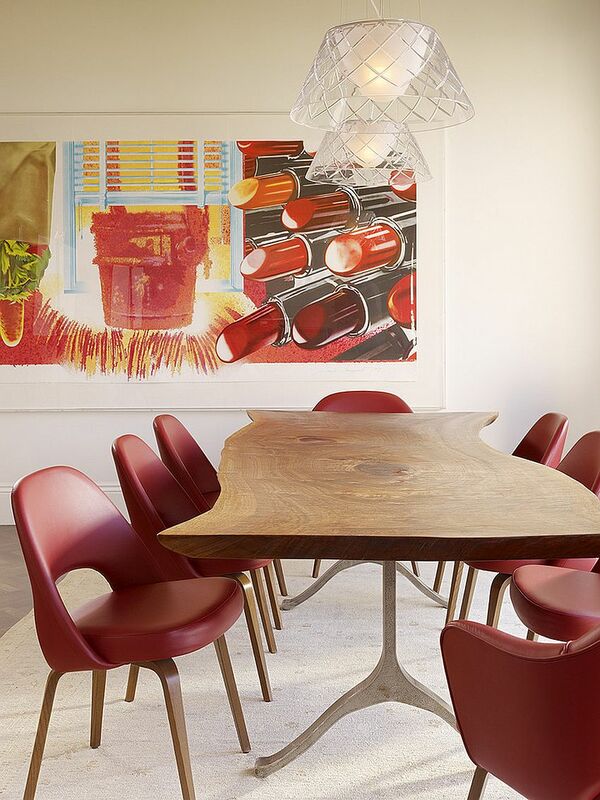 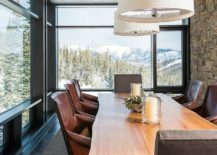 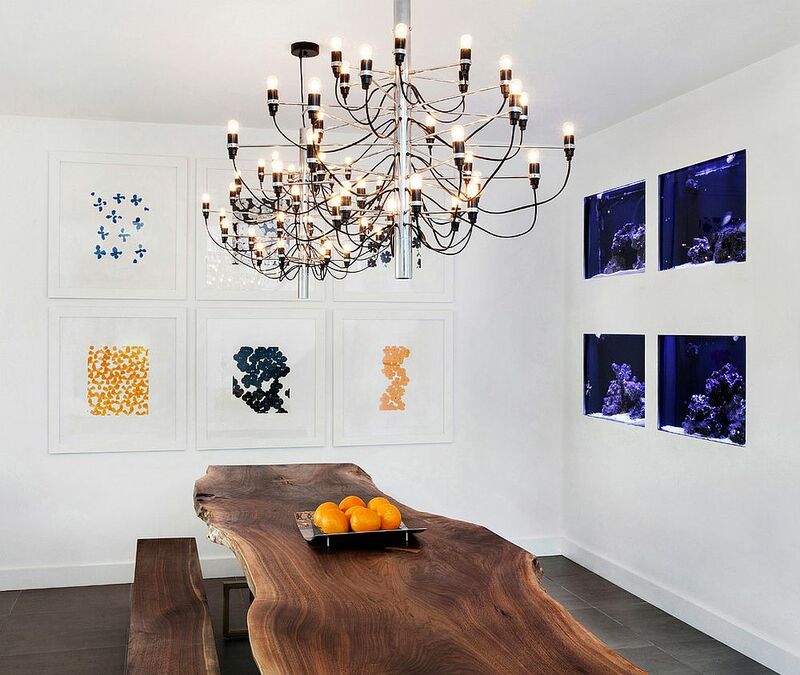 Whether you are a fan of acrylic chairs from Philippe Starck or love one of those iconic chairs from the 30’s, the live-edge table accommodates all! 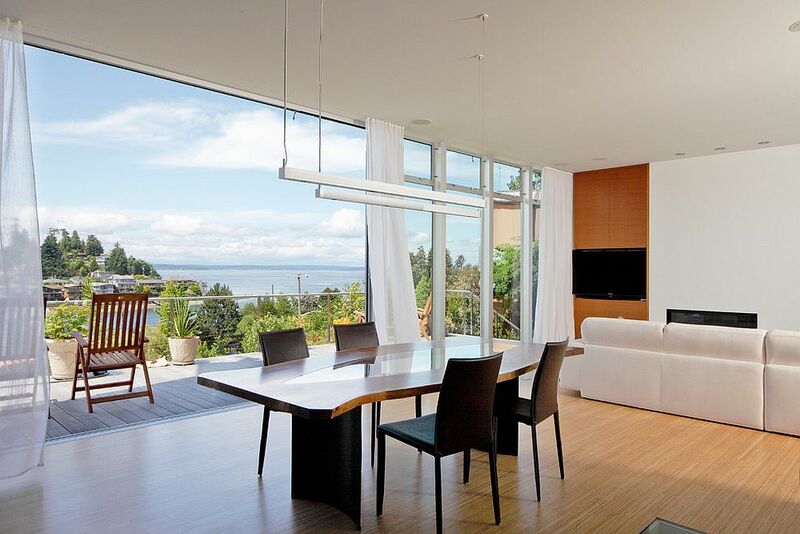 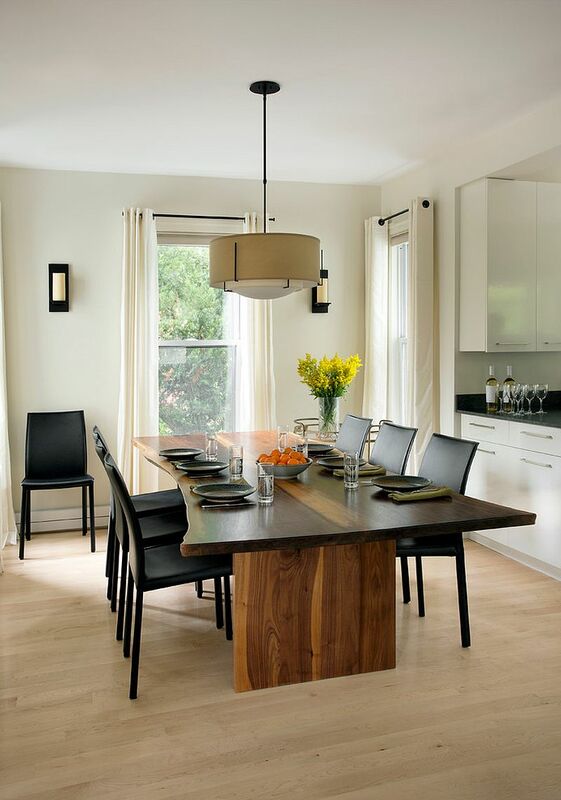 Effectively lighting the dining room is not just about the live-edge table alone. 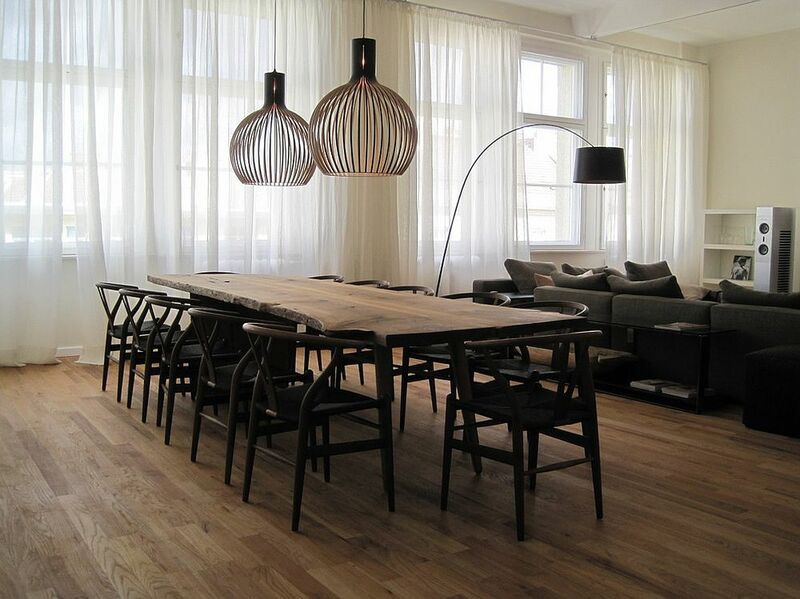 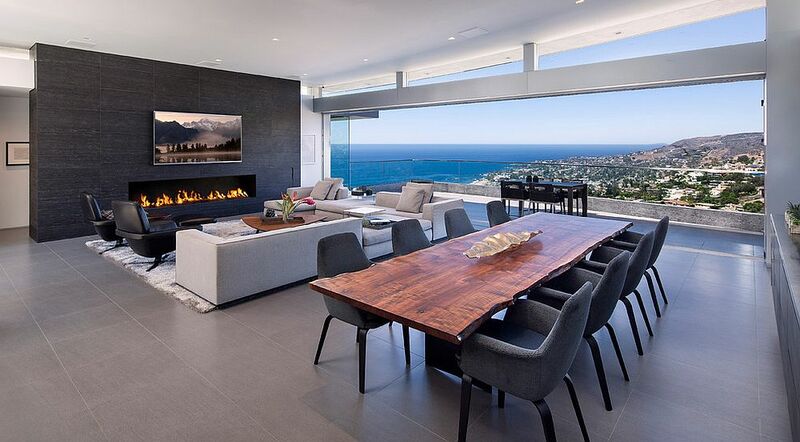 It is a part of the grander scheme of things that you always need to consider, regardless of the table you choose. 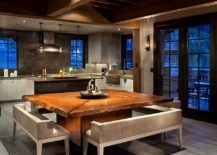 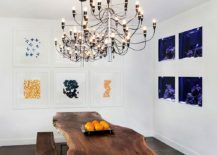 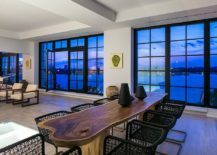 But in the case of the natural-edge table, lighting needs to be even more precise, and what you need is a fabulous blend of ambient and focused lighting. 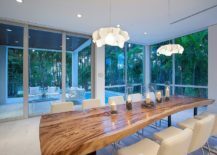 Recessed lights coupled with smart pendants or dazzling cascading chandeliers often get the job done and ensure that the table becomes the undoubted showstopper of your dining space. 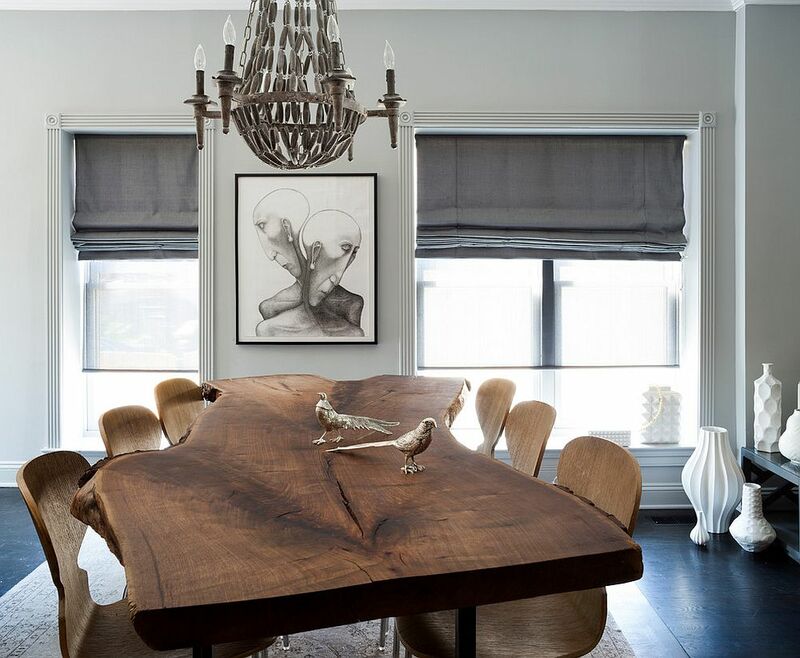 If you wish to give your dining room a trendy makeover and a lasting facelift, then the live-edge table is definitely the right choice. 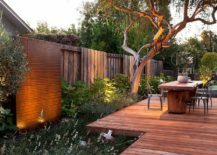 In a world filled with glossy, polished and repetitive, manmade elements, it offers a pleasant change… A change that leaves you mesmerized!